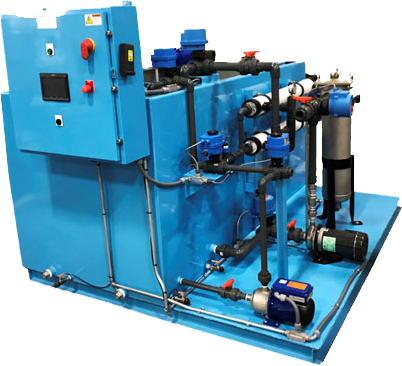 Ultrafiltration (UF) water and waste coolant systems offered by EdjeTech help users significantly reduce their waste fluid and comply with state and local codes pertaining to discharge limitations. These Separation Waste and Treatment Systems (SWAT) are designed for easy installation, consistent year-on-year performance, and low maintenance. By using our ultrafiltration membranes you will quickly discover the fact that hundreds of users of our Mini Separation Waste and Treatment water systems have reported a 90% to 98% reduction in waste fluid while complying with state and local water treatment discharge limitations.